We are in the age where security is the most important aspect in the business world more than ever. Each year records the highest average cost of data breaches with not need sight. Cybercrime and attacks are becoming more common than ever, but with the techniques like two-factor authentication (2FA) and SMS, the business world is evolving. There are better ways to authenticate your customer’s information and keep it safe from prying eyes. Two-factor authentication is gaining popularity in the real business world for many reasons. A2P is a method used to enhance the security of user accounts that businesses should take advantage of. Businesses have the privilege to protect sensitive information because date breach can lead to severe consequences. In this article, we are going to discuss how business can use SMS and two-factor authentication to protect themselves and their customers. We all know that with the rise of technology and online activities like mobile banking, hackers try all means to hack passwords and personal information to gain access to user accounts in fraudulent ways. Everyone’s wants their identity to be safe from cyber crimes and companies want to add every feature to protect its users from cybercrime threats. No matter how complicated your password is and how often you change it, your data, customer and your business will be in trouble if you don’t have 2FA. One could not blame anyone because cybercriminals use sophisticated methods to hack accounts, but to make sure your business and customer data is safe, you need to implement 2FA for extra security. The 2FA factor is something you know like your password and username, and something you have like a device or your fingerprint as the second factor used to authenticate your account. This way you will be able to keep prying eyes away from your data and customer information. Where are authentication techniques and SMS required? Website users, employees, and customer want an additional layer of protection when they log into the accounts and when they are doing any activity on their accounts. Dual authentication using 2FA allows them the protection they need. When properly used, two-factor authentication reduces the rate of fraud, spam, bots, and hacking of their accounts. It gives you the ability to verify customer and an employee’s identity and enforce stronger authentication policy. 2FA and SMS gateway can be used to remind your employees and customer to reset their passwords. In the 2FA verification process, you add a layer of security to your site and using SMS gateway you can send out an automated message and verification code for the authentification. By enabling 2FA will help you validate legitimate users, prevent unauthorized access and eliminate risky registration. Why is 2FA and SMS gateway important? These two are very important for business in more than one way. 2FA makes it very difficult for cyber criminals and malicious individuals to access accounts. Because of the complicated username and password and the second factor. It becomes complicated for them to hack and access accounts. SMSes are also important as they help send instant SMSes to users when they need to verify their account details, reminders or fraud alerts. 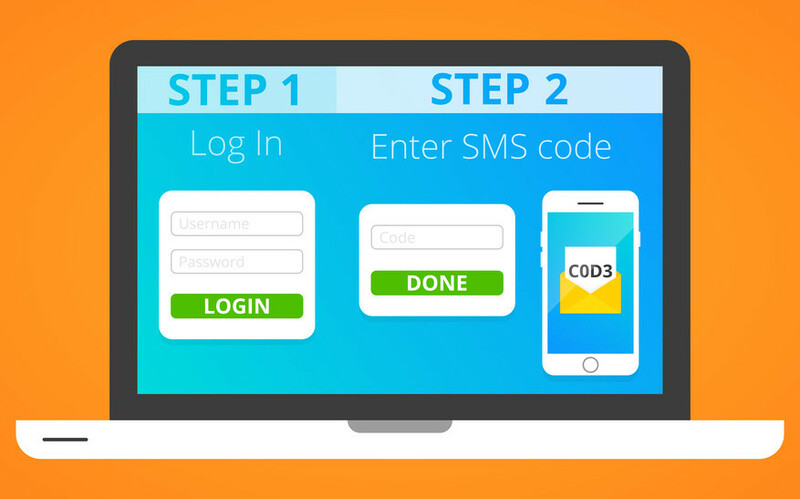 What are the three benefits of 2FA and SMS gateway authentication? The most obvious of the 2FA authentication. It provides better security to your customers and company. With 2FA and SMS gateway, the chances of hackers accessing your system are lower. There is nothing that has a negative impact on businesses as a security breach. It ruins your business reputation and compromises customer’s data. It might sound simple to many people, but it has the potential cause you to lose your business. SMS gateway and two-factor authentication make the breaches less likely protecting your business from harmful situations and hackers. When you that your business site, customer accounts and employee data are well protected. It gives you some peace of mind. It allows you to worry less and focus your energy on more important aspects of your business. Two-factor authentication via SMS makes everything simple for businesses. What your customers need to use your services is to be able to access secure information on their accounts. It takes seconds to verify accounts using username, password and second factor which are meant to prevent and to spot harm quickly before it happens. 2FA adds an extra layer of security to user accounts and activities like transaction, logins, and payments. It’s a zero fuss technology.